Do you want to feel GREAT whilst becoming Healthy and increasingly flexible? 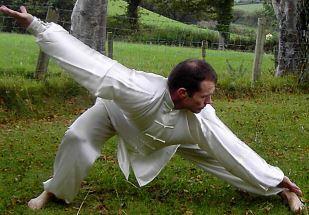 Tai-Chi Quan improves your total well being Physical, Mental and Spiritual whether you are Young or Old. It will help to improve your balance and flexibility, this will enable you to move freely and gracefully whilst your Thinking becomes clearer.